Born in Germany he studied History of Art in Munich. 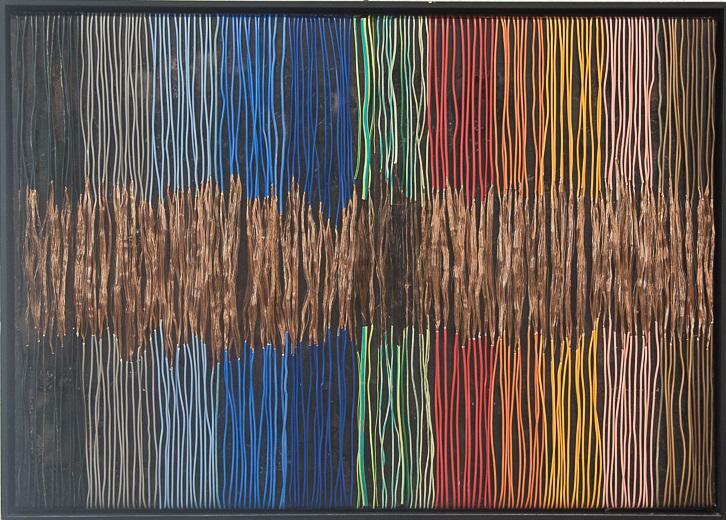 Inspired by the multiple potential of recycled material, the artist evokes new dimensions of space, surface and color by cutting, tying, plating and transforming the electricity cables into the main component of his esthetical work. The tension resulting from the combination of colored wires, shiny copper, concrete and painted, light and shadows, bidimensional and three dimensional, leads the viewer into a fascinating world of new associations.